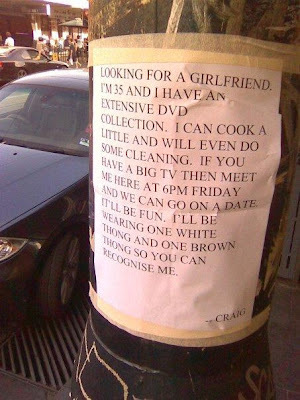 Would you like to be Craig from Windsor's girlfriend? He is 35, can cook a little and has a dvd collection. Thats certainly enough for some. Meet him here at 6pm on Friday.